At Zammit Orthodontics we offer a range of orthodontic services that will give you the most beautiful smile and best oral health. Our services include the entire range of orthodontic procedures to straighten your teeth, align your jaws, improve your airways and combat snoring, sleep apnea and bruxism. 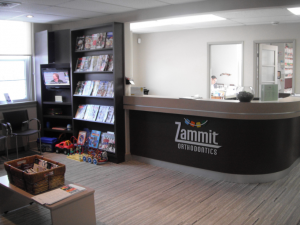 Zammit Orthodontics is a specialized orthodontic practice in St. Catharines with a focus on high quality orthodontic treatments, preparation for jaw surgery and general orthodontics. Zammit Orthodontics, also has an in house orthodontic lab, meaning your orthodontic appliances are completely customized and made at our location. Our top priority at Zammit Orthodontics is to provide you with the very best quality of service. From the initial consultation to the implementation of the treatment, we look forward to providing you with a quality experience and even better results.